Starring: Jean-Claude van Damme, Francois Damiens, Zinedine Soualem, Karim Belkhadra, Jean-Francois Wolff. Plot: Between his tax problems and his legal battle with his wife for the custody of his daughter, these are hard times for the action movie star who finds that even Steven Seagal has pinched a role from him! In JCVD, Jean-Claude Van Damme returns to the country of his birth to seek the peace and tranquility he can no longer enjoy in the United States. My Thoughts: Everyone loves a celebrity; people will sit out in the cold rain just to catch a glimpse of that one person they idealize, for some there is no limits they will go, we are after all an obsessive race who wants to feel the jolting thrill of fame even if it doesn’t evolve us directly, so we create ideals to look up to and live through their fame and successes and fantasize of being them, after all, everyone loves a celebrity, but what we love more than their victories is their failures, people love watching their living legends fall from the very mighty mount Olympus we created for them, there is simply no greater pleasure than to watch everything in their lives crumble before us, like I said we are an obsessive race, but when our obsession is over we would like nothing more but to see it all burn down in a blaze of defeat, it’s just who we are. JCVD Is a fictional film which gives an in depth look at international superstar actor Jean-Claude Van Damme (or simply JCVD) and how his life has taking a turn for the worst, he at one point in time was one of the biggest action superstars the world has ever seen, but just like all those who rise up to the top in such a short time, he falls down harder than anyone could think possible, the film is a balanced mixture between comedy and drama, the film fallows the has been superstar after making his return to his childhood home of Brussels after losing a custody battle with his Ex-wife over their daughter in America, the film shows that he is broke and cannot afford to fight anymore legal battles for his daughter, so he returns to his childhood home where he is still seen as a nationwide icon, after entering a post office which is obviously being robbed, he is suddenly taken hostage, but in an act of confusion the local police as well as the worldwide media thinks he is robbing the post office, which he is now forced on the spot to continue to play the role of the robber if he or anyone for that matter ever plans on leaving the place alive. The film has a very strong plot which allows its viewers to see Van Damme as more than another celebrity, but just another regular guy trying to make it through life’s dangers and trials, in short; the film humanizes him to a point that you empathize with him and his life struggles. 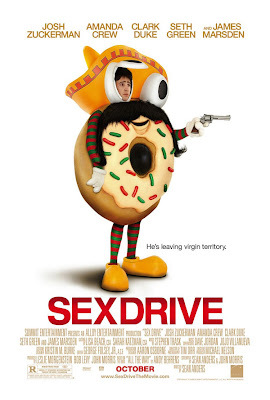 Though I must admit the film will have you gasping in laughter in a few areas of the film due to the situation at hand. The thought of news media’s all over reporting that actor Jean-Claude Van Damme is ho lding a building full of people hostage and will kill them if his demands are not met is simply hilarious, I almost fell down laughing to that very scene, also the constant digs at director John Woo, and actors Steven Seagal and Chuck Norris which is made throughout makes this film more than worth the money. But aside from being a comedy to laugh at, the film has a very touching story behind it set on the star, which is truly sad, a scene in the film which expresses this, takes the viewers away from the film itself and show the actor not like you’ve seen him before, venerably sitting there looking back at you one on one and delivers a six minute monologue straight to the camera and right into the viewers hearts, he confesses his life failures, admitting his bad relationships to drug habits and being a lousy father, this serous monologue was complete honesty told straight from the heart of the actor to its viewers, and believe me when I say it was truly touching, what Mechri does is allows the verbally challenged action star a moment dignity and respect, and in this moment we are all given a sense of clarity about the actor that is empathetic and beautiful sort of speak. 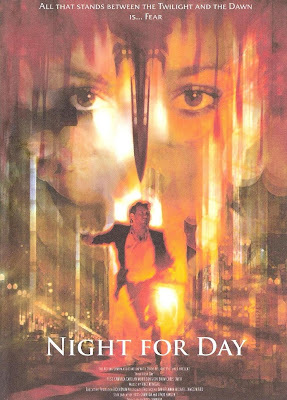 The cinematography was fantastic; it complements the film with its angles in such a perfect way that it in itself was beautiful; the film has a quite little score which also fits the mood of the film and complements it perfectly. Overall, JCVD was a jaw dropping film that kept me interesting the whole way with its uniquely told story which proved to be magnificently original in all forms, I laughed, I cried, I loved this film and highly respect the actor because of it; it is defiantly worth looking into. The story is about: Movie hero Jean-Claude Van Damme finds himself out of money, fighting for custody of his daughter and losing every good action role to Steven Seagal. In an attempt to escape, the aging star walks away from his shrinking spotlight and returns home to his native Brussels. But when he is thrown into a real-life hostage situation, everyone sees a side of Van Damme they've never seen before as he takes on the police battles the perpetrators and creates a media firestorm that captures the attention of the world. As for the acting: Jean-Claude Van Damme may be known to people as many things, but a good actor isn’t one of them, however this is not the case in this film where he plays himself, for the first time I can say he does a fantastic job in delivering a performance to be proud of, you could say that this is due to the fact he has something important to say this time around with his film, and he wanted to give more than just his below average acting skills, you can see that he poured his heart into this, after all he is playing the most important role of his life, himself. François Damiens gave a fine performance as the police chief. Zinedine Soualem was fantastic as the unstapled ring leader of the robbers, for a moment you almost don’t see the actor and only the character he plays. Karim Belkhadra was also fantastic, I loved the moment of friendship his character and Van Damme on screen, there was this sense of bond between them that is unexplainable but magnificent. Jean-François Wolff was great, though it’s hard to really judge his character based on the fact he is generally a push over character until the end when his role plays a bigger part, but other than that I guess you can say he was sufficiently adequate in his performance. The rest of the cast did a fine magnificent job, but I don’t feel the need to go into dept on the details, only that they did well and I enjoyed it very much. 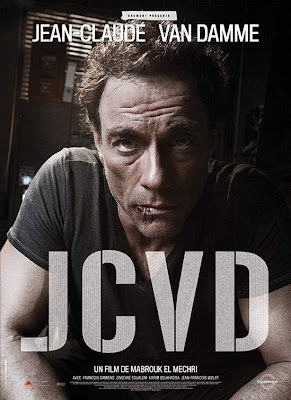 Final Say: JCVD was a very enjoyable film, though it won’t see a new light on life nor will it make you a better person, it will however make you see the actor in a whole new light and even respect him just a little afterwards. I highly recommend it!